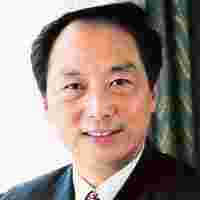 Miles to go: Liu Jian, vice-chair of China’s poverty alleviation team. How did China manage to bring down poverty so sharply and so fast? It is mainly political willingness. That means the government must play an active role in poverty alleviation. No other organization or group can take the role or replace the government in this. I have been to some African countries and South-East (Asian) countries, and I have realized that in the developing countries the government must lead this whole process. But when I say the government must play a key role, I don’t mean that NGOs or other groups are not contributing. They are also very helpful but as a complementary agency. The government must take an active interest and want to reduce poverty. What about agricultural reforms? Didn’t they play an important role? You’re right. Agriculture reforms contributed a lot to poverty reduction. Due to the reforms, farmers really benefited a lot and raised their income. Through their support, we improved agricultural output. For them, we have the crop subsidy and also for introduction of new crop species. We also have variable policies to incentivize farming. In India, too, the government plays a big role in poverty reduction. Why hasn’t it been so successful? I went to India two years ago and cannot say in detail about government policies. But my understanding and feeling was that the government really needed to improve the working efficiency. For example, we have adopted concrete methods. We have taken almost two years to build a file (database) on rural farmers needing poverty alleviation. We have identified the farmers’ households, and the corresponding methods and fund (financial poverty reduction fund). So, we have the plan and the persons who will implement that, and the measures. All this ensures the plan is implemented effectively. In the past 20 years, we have achieved a lot but there are still quite a few challenges. We have (very poor people) in the far rural areas, especially where the environment is in a serious condition, we need to really have them included in the process of poverty alleviation. Also, the farmers who have been lifted out of poverty are still a very vulnerable group. We need to work a lot to keep them away from poverty. How are you tackling the rising income inequalities? We are going to scientifically adjust our policies to favour the poor groups. Markets cannot solve poverty problems of people. That is why I stress that in developing countries, the government must play a key and direct role in reducing poverty.